Using Championship Memory Techniques to Make Learning Stick by Ida Shessel, M.Ed. What is the connection between training in your organization and the following list of items? While these are just some of the memorization requirements at the annual USA National Memory Championship, the techniques used to memorize them may be the answer you’re looking for to increase learning retention in your organization. Winners of memory championships around the world and Guinness record holders for Greatest Memory all claim they have average memories. They are not savants, nor do they have photographic memories. Some even suffer the additional burden of having been diagnosed with ADHD and dyslexia. One thing they all agree on is that anyone can do what they do – memorize huge amounts of information. It’s all about technique and understanding how the memory works. Why Don’t We Remember Things? You've often heard it said, and you may even have said it yourself, that you can't remember what you had for breakfast this morning. Why not? Well, here are some reasons people forget things. If you survey a group of people, most will admit to having a bad memory. They would probably be surprised to know that remembering isn’t a random act. It can have structure, and as a result, having a good memory is a learnable skill. What Does This Have to Do With Training in Your Organization? Learning doesn’t always stick. You already know that. You also know that the source of the problem could be in the training design, in its delivery, or in the follow-up on the job. When it comes to training design and delivery, some presentation techniques such as lecture-style data dump or learning through reading leave the responsibility for remembering on the learners’ shoulders: Here is the information; now remember it. If you’re a good designer, chances are you’re already including interactive hands-on processing and reinforcement activities to help your participants learn. However, reviews take up a lot of time. A common weakness in the review process is that there is no structure, no filing cabinet, if you will – it’s just repetition. How many repetitions will your learners need for the learning to truly stick? Two? Five? Seven? Help your learners commit content to memory faster and shorten the learning curve? Save time and money during the learning process by eliminating most of the necessary repetition or re-training? Help learners move information from the awareness stage directly into long-term memory? Multiply the likelihood of training transfer to the job? How Do We Make Remembering Easier? First, there is the concept of rarity. Imagine yourself driving to work. On most days, there is nothing unusual about your commute. It's the same traffic day in and day out. The next time you drive past that very same spot, there is a good chance that you’ll remember the elephant. You may remember it for weeks, months, or even years to come. The second element that makes things easier to remember is visualization. When you recounted the experience to a colleague, did you think of the word “elephant” or did you picture it? Most people think in images. They are easier to remember than words or abstract concepts. When describing the elephant experience to others or driving past that same location on the 405 you would be able to recall the elephant’s size, color, and movement from the image in your mind. Thirdly, there's association -- or what I like to refer to as Velcro® learning -- stuck or attached to something else. That elephant is now stuck to the 405 in your memory so that the next time you drive past the same location, the incident springs to mind. Memory athletes (competitors in memory competitions) learn huge amounts of information by utilizing systems and creating mental filing cabinets that incorporate rarity, visualization, and association into structures that multiply the ease and speed with which they can remember information. Different types of information warrant different systems – some considerably more complex and time-consuming to learn than others. You may have heard of some of them – with names such as the link method, the journey method, the Roman room or memory palace, the peg system, the major system, the Dominic system, the phonetic method, the number/rhyme or number/shape method, and so on. If memory systems work for others, why not borrow from their success? Why not use these memory techniques to enhance and speed up learning? I can already hear your objection. “Learning is more than just memorizing a bunch of content.” I agree. Employees and managers need to be able to apply the content by troubleshooting, problem-solving, innovating, analyzing, synthesizing, and evaluating. Consider this. If they learn the content faster up front, you can re-focus the training time and get on to the important task of helping them learn to apply the information that much sooner. What do your participants need to remember? When deciding on a particular memory technique to use in your training, you’ll want to take a few things into consideration. The time constraints of training programs in many organizations necessitate squeezing as much information as possible into as short a period of time as possible. Your participants are not training for the USA National Memory Championship, so the easier the technique is to learn the better. The system should be usable over and over again. Your organization may best be served by providing the staff and management with memory training in a multi-step process – first as a generic skill, and then by incorporating the techniques into every training program to ensure retention of course-specific content. If left up to the individual, allocating time to learn memory techniques is likely to be relegated to the bottom of the to-do list (if it even makes it onto the list at all). It is well worthwhile including them in every training initiative. Your organization will reap the rewards – savings in time and retraining, and increases in retention and transfer of learning. Memory improvement happens quickly when structured techniques are used. You will be amazed at what you and others remember! Ida Shessel, B.Sc., M.Ed., has been a professional speaker, author, and facilitator for over 30 years. For 15 of those years, she was a senior consultant with an award-winning train-the-trainer organization, facilitating their workshops at meetings and conferences across North America and beyond. She is the author of several books including Communicate Like a Top Leader. Ida can triple your memory in under 30 minutes! Habits are the behaviors that are wired so deeply in the brain that we perform them automatically. How much of your day do you spend acting out of habit? Getting ready in the morning, going to work, interacting with others, reacting to stress. etc. Much of what you do is habitual, and should be! It would be a terrible waste of energy to have to pay attention to everything all the time. Habits free our minds to focus on tasks that are more important. The problem arises when we want to eliminate an old, deeply ingrained, negative habit (e.g., eating unhealthy snacks, interrupting others, reacting emotionally, etc.) and create a new, positive one (e.g., snacking on fruit, asking more questions, responding appropriately, etc.). It is not easy to rewire our brains. Experience teaches us that knowing is not doing. In fact, the inability to develop new habits is why many of our New Year resolutions fail and is often the reason we don't apply what we learn from others. The idea is to take an existing habit and use it to remind yourself to practice the new behavior routinely, so the new behavior becomes your new habit. In other words, you link what is already wired into your brain (the old habit) to what is not (the new behavior) to create the new habit. The equation below expresses this powerful concept in a simple equation. This idea is as old as tying a string around your finger. The only question is, how will you use the principle to help you create the habits that make you? Listed below are several examples of how highly successful leaders combined their old habits with new behaviors. Adapt them to your situation and preferences. Index cards. Write a behavior on a 3 x 5 index card. Put the card in your pocket. Whenever you put your hand in your pocket, read the card. Put a check mark on the card every time you practice the behavior. Watch. Program your watch to beep on the hour. Use the beep to remind yourself to practice the new behavior. Mirror. Slightly tilt the rearview mirror in your car. Every time you look in the mirror, tell yourself aloud how you are applying your behavior today. Notepad. Write a “reminder word” at the top of the notepad you use during your calls. Every time you looked down to scratch a note, you will be prompted to use your new behavior. Calendar. One leader told me recently that he programmed Outlook to remind him to practice his listening skills. He's using computer software to rewire his brain's hardware. Phone. Since you probably use your phone a lot, write a post-it-note to prod yourself to practice the new behavior whenever you're on the phone. Computer. Can you change your screensaver to remind you to practice a behavior? Wristband. One leader has a bracelet that she pulls to inspire her to apply recently learned emotional intelligence behaviors. Team member. Who can you count on to regularly encourage and remind you to take daily action? Keep stretching when you're pulled, Dave. We're between friends -- have you ever blown a dollar of your employer's money? Come on, be honest! Of course we all have. You know the personal phone call we made on the work phone; the personal mail we ran through the company mail; the faxes, the pens, the expense claim that was kind of work related and we rationalized it with, "Hey, you know I was traveling …"
Well, those pennies add up to become dollars, and the dollars end up becoming hundreds, thousands, and potentially millions in some large organizations. I hear you say, "Okay, but what's the big deal? My company can afford it!" Well, can they? That is the question. What's the average net income a business makes as a percentage of its sales? Answer: about 8%. That means for every $10.00 in sales it makes 80 cents profit. So imagine what happens if you waste $1 in expenses: $1 divided by 0.08 (which is 8% expressed as a decimal) multiplied by 1 (which is 100% expressed as a decimal) equals $12.50. That means your employer has to make $12.50 extra in sales to make up for that $1 to still get an 8% profit margin and maintain an 8% money-making model. What that means in this example is that the sales and marketing folks have to sell 25% more ($12.50-10.00) to still get 80 cents profit. What happens if we add a few zeros? Well, imagine a company that wastes $100,000 on a project and they only make 8% profit. The numbers work the same -- this company now has to sell 25% more to still make $8,000 profit! Now, any metaphor if analyzed enough eventually breaks down, but do you get the point? It's important to be conscious of every dollar you spend of your company's money. You can relate this principle to your personal finances -- what's that old phrase, "a dollar saved is a dollar earned"? If you think about it, it's actually more than a dollar because every dollar is taxed about 20%; so $1 saved is really like not having to earn $1.20! "Someone who is penny wise, dollar foolish can be very careful or mean with small amounts of money, yet wasteful and extravagant with large sums." -- Anon. Newleaf Training and Development deliver seminars, keynotes, and coaching to help people and organizations better manage themselves, lead others, and build business financial intelligence. Based in Valencia, CA, Newleaf Training and Development has served clients in 28 States, China, India, and Western Europe since 2006. Visit www.newleaf-ca.com for more details. Show me the mentors! Even though mentoring is one of the most effective career development paths for young employees, only one in five organizations offers a formal mentoring program. This is in spite of the need for fast, point-of-need learning partnerships to help organizations share critical knowledge, onboard a new hire, develop talent, and grow future leaders. This makes it very likely that you and your organization’s managers are left high and dry when it comes to mentoring newer or younger employeesundefinedbut it doesn’t mean you can’t set up an effective program yourself! Managers and supervisors at all levels have a simple, viable strategy available for providing mentoring to their teams without waiting for HR or senior management to set up a formal program. This do-it-yourself (DIY) option is called “reverse mentoring” because it turns around mentoring as we know it. Traditionally, a person with more experience will mentor a colleague with less experience; this method has been proven through master/apprentice relationships that have allowed knowledge to be handed down over hundreds of years. In reverse mentoring, a more experienced employee, or even a manager, actively seeks the council of an employee with less overall experience. This modern twist has more tenured employees depending on younger staff for fresh perspectives, trend spotting, and technology guidance. Reverse mentoring refreshes learning for veteran employees and managers, while helping to build leadership skills and experience of your newer employeesundefinedwho are, of course, also learning new insights during the relationship. And when you pair an experienced manager or employee with a newer, less tenured employee, the mentor gets a glimpse into the world of leadership and top-level leadersundefinedsomething the younger generations particularly value. Reverse mentoring has some unique benefits that should be of special interest to most industries; many of those benefits have to do with attracting and keeping employees in the Millennial generation (those born between 1977 and 1998)undefinedan essential demographic for any forward-thinking organization. Reverse mentoring is ideal in situations when you want established employees and managers to gain technical expertise, whether it is in business applications or smart phone apps. The same is true of learning about new and emerging trends in marketing or areas of work and society that might impact your business. It can also strengthen the team even as it grows the skills and strengths of individuals involved. For example, when you pair a people-savvy associate with a manager working on winning over a prospective client, everyone can benefit. At Werner Electric in Cottage Grove, Minnesota, President Ben Granley has tapped into reverse mentoring in an effective if informal way. Their Millennial delivery driver Dustin Ranem regularly visits the company’s marketing department to provide his perspective on the company’s social media presenceundefinedand to give specific recommendations. When Granley was promoted to president, he asked the same employee to review his LinkedIn page and his social media presence and give Granley a list of recommended improvements. Before you send a seasoned executive and an intern into a conference room and say “Go,” there are a few high-level guidelines that you may want to consider. No matter how simple you intend the structure of your mentoring program to be, take time to make a plan. Reverse mentoring can take place as informally as you likeundefinedor even within your existing company mentoring programs. It simply calls for matching up pairs of employees of different generations and then encouraging them to meet regularly to exchange ideas and challenge each other. Note that these relationships shouldn’t be restricted to people of the same gender or who have similar backgroundsundefinedbecause we can learn so much more from people who are different from ourselves. Define expectations. Both partners need to be very clear on what they want to accomplish. Agree on the rules. Each partner must be fully committed to the mentoring relationship with regular meetings and activities, and to getting together at least monthly. And partners should agree to be cooperative and respectful. Willing to learn. In a reverse mentoring relationship, both parties must genuinely want to learn from and share with the other. Mutual trust. The goal is to push one another outside of their comfort zones and try new ways of thinking, working and being. Ideally, the pair will create a safe, risk-taking environment and maintain confidentiality. Transparency. Both partners must be open with their feelings and with what they are thinking. They must be able to overcome differences in communication style and be open to seeing situations from different angles. Our research shows that the biggest dangers to any successful mentoring relationship are neglect (a lack of commitment, time, and energy), breaches of confidence, and the failure to understand culture and generational differences. As you implement your reverse mentoring program, be on the lookout for these pitfalls. In the second article in this series, you can review a basic action plan for your reverse mentoring program. Check back next month for part 2. For more information about mentoring as a talent development strategy, and leveraging the generations in your workplace for exceptional business results, contact Devon Scheef at The Learning Café. DevonS@thelearningcafe.net or (805) 494-0124. Improving Training Skill Transfer by Donald J. Ford, Ph.D., C.P.T. Learning professionals realize that training is only effective when participants apply their new skills on the job. With so much focus nowadays on training and retraining the American workforce for the jobs of the future, we are seeing increased attention to this area of evaluation. In my work with companies across America, I have found that skill transfer is the number one training evaluation concern today. What exactly is “skill transfer?” The concept originated with the seminal work of Donald Kirkpatrick, who called it “behavior change,” the third of the four levels of his evaluation model. 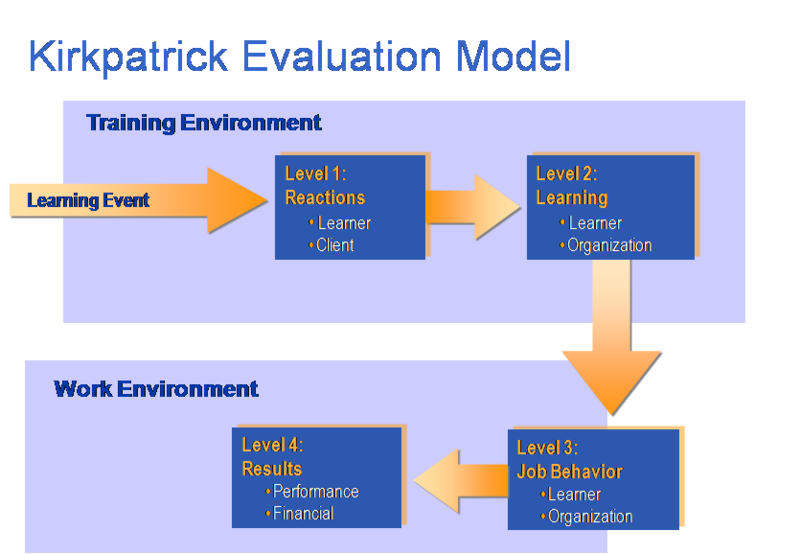 To fully understand why level three is such a critical link in training evaluation, consider the contextual model of evaluation, based on Kirkpatrick’s four levels, that appears below. Level three evaluation occurs at a crucial juncture when learners return to their work environment. If they successfully apply their new skills, their own performance will improve. If individual performance improves for enough workers, the organization’s overall performance should also improve. Performance improvement then leads to better organizational results, measured at level four, in terms of the organization’s financial performance. Each of these requirements is important and not always easy to accomplish. Taken together, they maximize the transfer of training and the impact of training outcomes in the workplace. This factor is so obvious that its implications are often overlooked. Put simply, new skills cannot be transferred if they are irrelevant to the job. To ensure that the right skills are taught to the right people who actually need them, it is imperative to conduct a thorough needs analysis before designing and delivering training. This analysis must include job task analysis to determine the needed job skills and learner analysis to determine the extent and nature of the skills gap. While most training professionals know this is important, in far too many cases, we are pressured by clients and decision makers to short circuit needs analysis and just get on with delivering the training. This inevitably leads to a poor match between the objectives and content of the training and the needs of the learners and the organization that sponsors and pays for the training. We can certainly learn to perform analysis more efficiently, but we also need to resist the temptation to skip this step altogether and simply accept our clients’ opinions as the truth. These two factors are related, since our level of effort in any work is directly correlated with our beliefs about the value and efficacy of that work. If we believe that something is both valuable and possible, we are much more likely to exert the effort required to achieve it. Trainers cannot directly control learner’s desires, but we can certainly help them see the need to change and can help them calibrate their efforts so that they are working hard and smart enough to affect the desired change. We often reduce this to WIIFM (What’s In It For Me) statements about the value of training. While these are important in instilling learning motivation, they are often insufficient to carry people through the difficulties of learning. I may be convinced that a new skill would be beneficial to me, but if I encounter too much difficulty in learning it, I may become discouraged and give up. Trainers need to candidly reveal the difficulties of their subject matter and design learning events that lessen those difficulties through chunking of content, relevant practice and preparation for application on the job. We also need to do better at meeting the individual learning needs of those we serve rather than adopting one-size-fits-all approaches to training. Of these, the supervisor occupies the most important role. Supervisors who take an active interest in the development of their staff and who encourage both the intrinsic desire to change and provide extrinsic rewards for doing so are far more likely to see improved job behavior after training than those who take a passive or indifferent attitude towards employee development. The second critical factor is supportive co-workers. If one’s co-workers are also actively applying new skills and offering peer coaching to their fellow workers, this can significantly aid and abet the efforts of supervisors. Pairing new employees with experienced ones is a common method for accelerating skill transfer. Formal mentoring and coaching programs are also very important elements of a supportive organizational culture that promotes skill transfer. At the end of the day, we all work for the money. Unless learners see tangible rewards for their efforts to learn new skills and boost their job performance, they will not sustain the effort required to change. In today’s difficult economy, few employees can expect a pay raise as a result of training, but employers can do many things to reward employees that don’t cost a whole lot of money. One area that has drawn increased interest is recognition programs. We all like to be recognized for our good work, and some of us need this more than others. Recognition may come in the form of certificates, awards, public acknowledgment, perks or more desirable work assignments. Many of these things cost little or nothing to provide. Low cost rewards like gift cards, tickets to entertainment events, paid time off and company-sponsored trips often provide a great return on investment in terms of increased employee engagement, reduced absenteeism and increased productivity. The next time a client requests training, remember that our job as learning professionals does not end when learners complete their training. Indeed, our job is only half-way finished at that point. The other half is to ensure that the new skills we have worked so hard to instill are actually being put to productive use in support of the organization’s mission and objectives. What Keeps Transit leaders Up at Night? Jean, CEO of Super Transit, approached me with her difficult challenge. Only a few minutes earlier, during my presentation to Jean and 100 of her CEO colleagues, I had shared the top twenty challenges based on my interviews with 26 transit CEOs. These are seen in Table 1. What Should Keep Transit Leaders Up at Night? 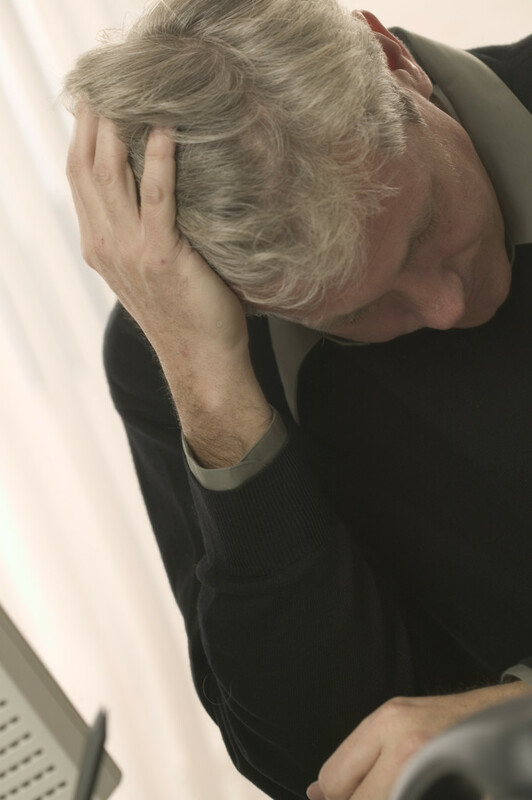 So, how many of these challenges are affecting you? Jean and most of the other CEOs admitted in the seminar that they confront at least a dozen or more on a regular basis. I then asked them if they noticed anything unusual about the list. They didn’t. Do you? Review Table 1 again. This time however, read the list in pairs by adding the words and at the same time after every odd-numbered challenge. In other words, read number one and number two together with the word and between them. Do this with numbers three and four, five and six, and so forth. What did you observe as you read the list in pairs? Did the pairs seem to be at odds with each other? Good. That's because they are! What I discovered from these 26 interviews was that many of the challenges transit leaders face in today’s rapidly changing landscape are in fact, paradoxes - they pull in opposite directions simultaneously. In fact, if we reformat the top 20 challenges into paradoxes, we create a top 10 list as seen in Table 2. Can you guess which one Jean and I focused on? Trying to meet conflicting demands is familiar terrain to most transit leaders. Executives have been balancing competing goals for many years. But that’s the point; it used to be all about balancing goals. My interviews suggested that today, it’s more about managing the tension between contradictory issues. 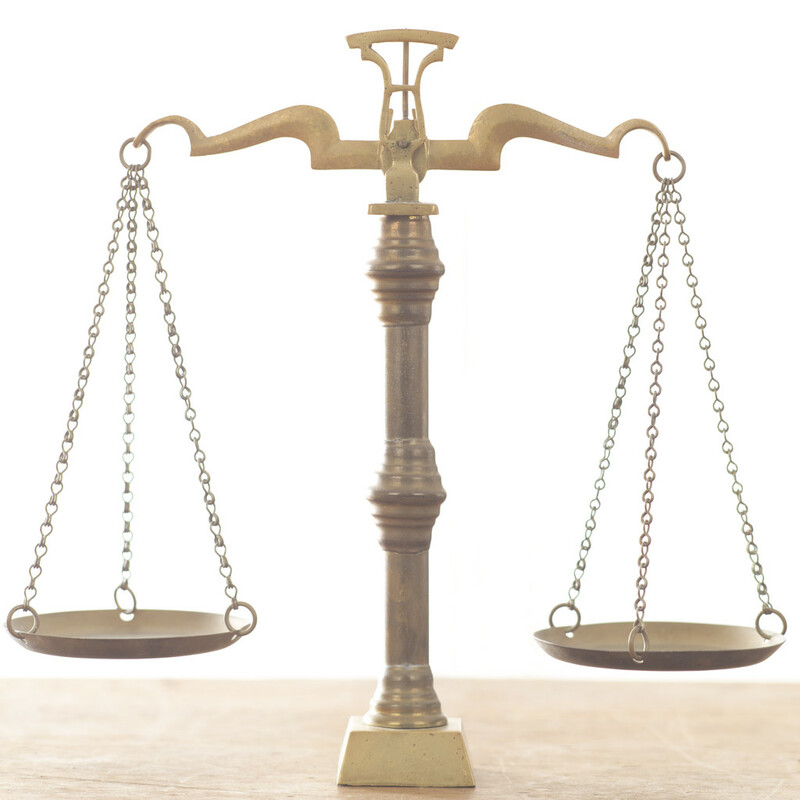 (Do you feel like you’re balancing issues these days OR being pulled by opposing demands?) Jean and I agreed that paradox number seven in Table 2 came close to describing the tension she was feeling. Before I share how we resolved her challenge, let’s briefly discuss why there is so much tension and what our workforce development research discovered you can do about it. Why So Much Tension These Days? Professors Wendy Smith and Marianne Lewis reviewed 360 separate studies on paradoxes. (1) They reported that paradoxical tensions are more prevalent and persistent when three forces are at work. 1. Competing Stakeholders – Leaders experience increased tension when the number of stakeholders with conflicting agendas increases. Jean lamented that she felt pulled to meet the divergent demands of community groups, regulators, sustainability advocates, a regional board of directors, and local city councils. Sound familiar? 2. Resource Constraints – Despite passage of a two-year transit bill, most transit leaders confess that they have to do more with less. They feel pulled to manage their budget constraints while at the same time boost employee morale, exceed riders’ expectations, and invest in the future. Jean pointed out that she would love to provide the city with everything they want, but she only had so much money to meet the entire region’s needs. 3. Accelerating Pace of Change – The speed of change is a bullet train to transit’s future. Yet, these changes (technology, information availability, demographic shifts...) create an avalanche of continuous change. Keeping pace with the warp-speed of change demands numerous initiatives that often compete with each other. For example, do you ever feel stretched to allocate resources between tactical (e.g., use new technology to increase bus route efficiency) and strategic initiatives (e.g., create long-term, transit-oriented development plans)? Any of these forces (or all three) can hit transit leaders on any given day. That’s why the transit leader’s paradox is less about finding balance and more about managing the tension of opposing demands. Unfortunately, our ongoing workforce development research suggests that many executives, like Jean, don’t stretch when they feel pulled by their conflicting issues, they SNAP! Let’s briefly review that research and then recommend four tools that will help you and your team stretch. At the end of my presentation to the APTA CEOs two years ago, I invited them and their senior executive teams to complete a 360 assessment (called the eXpansive Leadership Model - XLM) as part of our research in the transportation industry. To date, 77 transit executives (16 CEOs and 61 executive team members) have rated themselves and invited 376 other people (boss, peers, direct reports...) to rate them on the researched-based competencies assessed by XLM. Which Competencies Are Transit Leaders’ Strongest and Weakest? Do These Competencies Predict Transit Leadership Effectiveness? Paradox Lost - How Well Do Leaders Manage Paradoxical Tensions? Although the leadership competency “Embrace ambiguity & paradox” is highly correlated with leadership effectiveness (.56), it is the lowest ranked of the 16 competencies assessed. 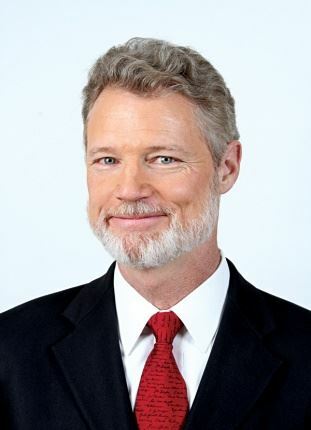 As Mike Scanlon, CEO at SamTrans remarked, “Are you telling us that we are least effective in the most important competency – the one that can help in today’s paradoxical environment?” Precisely. Transit leaders are not alone in their need to develop this low-scoring skill. In a study of 1,000 organizations over a 20-year period, researchers found that leaders mismanage paradoxes between 38 – 45% of the time, and suffer poor performance because of it. (2) The most common error was addressing one issue of a paradox independently of the other. The good news is that these authors, as well as others, have also reported that small improvements in managing paradoxical issues significantly increased firm performance. (3) In addition, my work over the last decade with transit leaders, like Jean, indicates there are several ways to improve your ability to stretch when you feel pulled. Four are discussed in the next sections. 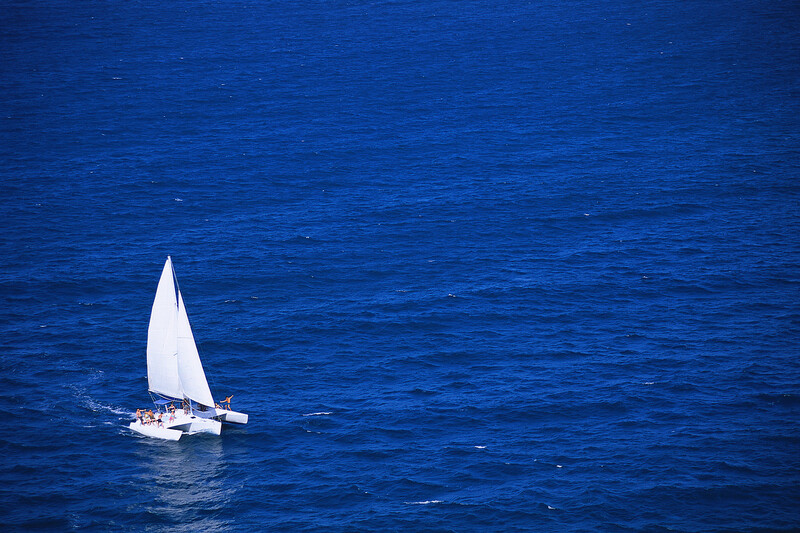 Managing a paradox is analogous to sailing a small boat on windy day. When the wind grabs your sails and starts tipping you over, you don’t pick one side and stick to it for the entire trip. Nor do you drop the rope and let the wind have its way with you; you scramble to the other side of the boat and hang over the edge while holding the ropes. You get where you want to go by managing the tension between your hands and the wind (the two “elements” of this paradox.) Harnessing the tension keeps you moving toward your destination. Which of the four below might keep you moving on your journey? 1. Look through other’s windows. Our point of view is not the only view. Understand that how we perceive our business challenge and environment at the present moment is not reality. It is our view of reality. We can embrace paradoxical thinking by pretending we are on the outside of a house looking through one window into one room. Whenever we are dealing with a paradox, we can assume we do not know what is going on throughout the entire room. Our view improves if we invite the “loyal opposition” to share their perspective from their windows. This will help develop the “flexible thinking” that Joe Calabrese, CEO of Greater Cleveland Regional Transit Authority, identified as critical in today’s transit leader. 3. Make the abstract concrete. Paradoxical thinkers are not dreamers disconnected from reality. They are visionary leaders who are in touch with their surroundings. They are possibility and probability thinkers. Like kite flyers, they let their dreams fly high while tethered to the ground. Jean translated our discussion about her paradoxical tensions into practical actions that helped her deal with the city. She told me that adapting the “Map the paradox” idea was the most beneficial to her because it helped others see the trade-offs in her paradox. 1) What are the benefits of meeting the needs of the City? 2) What are the benefits of staying within Super Transit’s Regional Budget? 3) What might be the unintended consequences of over-focusing on the city’s needs? 4) What might be the unintended consequences of over-focusing on the Regional Budget? Jean smiled, took the insights she gained from this process, and used them to lead a discussion with city officials about the tradeoffs of focusing on one side at the expense of the other. She later told me that this idea led to a breakthrough with the city. Competing stakeholders, resource constraints, and an accelerating pace of change are all conspiring to pull transit leaders in opposite directions during these turbulent times. Adapt these ideas to help you stretch whenever you feel pulled by paradox at work. 1. Wendy Smith and Marianne Lewis; Theory Development: Toward a Theory of Paradox: A Dynamic Equilibrium Model of Organizing, Academy of Management Review, Vol. 36, No. 2, 2011, p381–403. 2. Dominic Dodd and Ken Favaro; Managing the Right Tension, Harvard Business Review, December 2006, 62-74. 3. Beech, Nic; Contrary prescriptions: Recognizing Good Practice Tensions in Management, Organization Studies, January 2003, 1 -- 28. 4. Roger Martin; The Opposable Mind - How Successful Leaders Win through Integrative Thinking, Harvard Business School Press, Boston, MA, 2007, page 31. 5. Barry Johnson, Polarity Management - Identifying and Managing Unsolvable Problems. (Polarity Management - Identifying and Managing Unsolvable Problems, HRD Press, Inc., Amherst, Massachusetts, 1996. Those in training and organizational development know, usually better than anyone else in most organizations, that career development is important, However, it is a challenge for most managers and a high stakes game in business today. You’ve likely encountered widespread confusion about what career development actually is, from both managers and others. All too frequently, you’ve seen form trumping function. Literally. For many managers, career development is all about the form, checkboxes, and deadlines. Now don’tget us wrong, individual development plans (IDPs) are essential. Annual talent reviews and discussions are critical. Timely completion of necessary documentation is a must. The organization counts on all of this. A range of manager/employee collaborative activities that facilitate: opportunity, fluidity, agility, evolution, relevance, insight, capability, passion, experiences, service, challenges, learning, impact, engagement, and accomplishment. Energy and attention in service of each employee’s unique work and life priorities. The outcome of ongoing dialogue with employees. Based upon thousands of interviews over three decades, it’s become very clear that genuine and meaningful career development comes from a foundation built through the human act of conversation. Whether it’s a formal IDP meeting or an on-the-fly connection, it’s the quality of the conversation that matters most to employees and drives growth. What do you think? How prevalent are career conversations in the organizations that you serve? What can the Training and OD functions do to drive meaningful career conversations between managers and employees? Let’s talk more about this at the September Chapter Meeting. Beverly Kaye and Julie Winkle Giulioni have just written Help Them Grow or Watch Them Go: Career Conversations Employees Want and will be featured presenters at our September meeting. Beverly can be reached at beverly.kaye@csibka.com and Julie can be reached at julie@designarounds.com . Certification and Workplace Learning by Donald J. Ford, Ph.D., C.P.T. Certification is becoming a more important part of the workplace learning and performance profession. Certification ensures the quality and skill of those who earn it and the value and effectiveness of those who provide it. In an era in which we are understandably skeptical of unfounded claims and inundated with false promises, certification is the training world’s Good Housekeeping Seal of Approval. I work as an Assessor for one of the leading certification bodies in the world, American National Standards Institute (ANSI). Long known for their certification of products and technical processes, ANSI is also a leader in personnel certification and certificate program accreditation. A growing number of industries, facing increased public pressure for accountability and quality, are seeking or being forced to undertake certification of key job positions to ensure that only fully qualified personnel are allowed to perform mission-critical work. A certificate program, conversely, is a non-degreed education or training program that consists of a fixed learning event and a system to award a certificate based on achievement of program requisites or attendance. Certificate programs actually come in two types: achievement and attendance. In the former, some type of assessment, such as final exam, is used to determine knowledge acquisition. In the case of attendance-only programs, merely attending the required number of hours earns a certificate. The table below summarizes differences between certification and certificate programs. Certification has rigorous requirements suited to its overall purpose to ensure that those awarded certification are qualified to perform specified work. The first requirement is that a third-party organization, such as an industry, government, or non-profit standard-setting body, be in charge of determining requirements and awarding certification. For example, some certifications are granted by states, such as certifications for nurses, aircraft pilots, and teachers. Some certifications are awarded by industry and trade organizations, such as those in the information technology, paralegal, and massage therapy professions. Finally, non-profit organizations such as ANSI and the National Organization for Competency Assurance (NOCA) also accredit certification bodies to give the public confidence in the quality and market value of certification programs. The second key requirement for certification consists of the prerequisites and requirements for eligibility. Certification may require certain levels of education, fields of study, years of experience, employment in specific jobs, or other requirements to be eligible. Some certification providers also offer education and training in these prerequisite fields to enable people to meet eligibility requirements. Others simply design and administer assessments to determine qualification. On-going monitoring of test reliability and validity. Finally, certification is driven by its time-based nature. Unlike college degrees, which never expire, certifications do have expiration dates and specific requirements to maintain certification beyond initial expiration. This might include a certain amount of continuing professional development or the need to retake an assessment and pay fees periodically. For those organizations seeking accreditation from a third party, such as ANSI, the process is also quite rigorous. Prospective certifiers must complete a detailed application and provide supporting documentation to show the quality of their management systems and assessment process. They must also pass an on-site visit by two expert assessors, who prepare a report and make recommendations to a certification committee, consisting of a panel of experts who make the final accreditation decision. To maintain accreditation, certification providers must complete annual surveillance and demonstrate that their program continues to meet all requirements of the accrediting body. Assessment methods used to verify compliance with requirements include desk review, interviews, onsite observation, on-going monitoring and the use of triangulation to corroborate findings. To learn more about certification and its requirements, visit American National Standards Institute’s web site at: www.ansi.org. How often do you feel pressed to accomplish more than time allows? Do you strive to reach major goals (e.g., meet a project deadline) and need to accomplish smaller tasks (e.g., provide information for a report or serve on that committee)? Does your work ever seem to conflict with what you want to get done at home, like it did for the central character in the great foreign film, Twilight Samurai? The protagonist is a gentle warrior and single parent, raising his two daughters. Yet he also has to work his day job at the warehouse, labor in his garden, and perform his samurai duties whenever the Shogun called. Sound familiar? University of Houston Professor Steven Brown and his team call this goal conflict: "the degree to which individuals feel that their multiple goals are incompatible1." They studied the effect of goal conflict on the performance in 153 employees, and found that conflicting goals decrease employee commitment, self-efficacy, and overall performance. Saying Yes Leads to No. Before we can decide how to juggle, we need to decide what to juggle. The Samurai turned down repeated requests by colleagues to join them for a drink after work. He knew he didn't have time for everything, so he focused on the most important things. Do you focus on the fundamental few or get caught up in the meaningless many? A few weeks ago, as I was teaching an organization how to use project management tools to increase productivity, a participant asked how to manage her manager who often dumped last-minute projects on her. I recommended that she first find out what was most important to him, and then align her priorities with his. Whenever he gave her last-minute projects, I suggested she show him her list of priorities and ask him where he would place the task if he were in her position. Saying yes to his priorities will lead her to saying no to his dumping. When you say yes to your (and/or your manager's) most important goals, goal conflict decreases because you, like the Twilight Samurai, will find it is easier to say no to what's not important. What are your priorities? Does a review of your calendar (PDA, Outlook, appointment book...) show congruence between what you say is important and where you time goes? Believing Leads to Achieving. A strong belief that we can take the steps to reach our goals is a strong predictor of goal achievement. This is the belief, called self-efficacy. Professor Brown found that people who had higher self-efficacy spent more time planning how to deal with goal conflict and more effort overcoming obstacles than their low self-efficacy counterparts. The stronger the believing the higher the achieving. One way to increase self-efficacy is to use the power of modeling. Modeling directs us to learn from those who are achieving the goals we are striving to achieve. The Twilight Samurai studied with a master in short-sword fighting. He drew on this skill to swiftly deal with issues the emperor dumped on him... so that he could get back to his primary goal of raising his girls. If you are struggling with goal conflict, modeling suggests that you find a coworker who is successfully dealing with similar issues. Ask if you can learn from them by watching and discussing their approach. Then adapt what they do to fit you. If you can't find a role model nearby, perhaps a book, class, or audio-program would suffice. Where can you find accurate information to help you strengthen the belief you can achieve your primary goal? Working Hard Leads to Feeling Good. Professor Brown found that positive emotions resulted not only from achieving a major goal, but also from engaging in goal-directed behaviors. In other words, when people work hard to perform well, they feel better about themselves whether or not they reached their goal. Working hard leads to feeling good independent of the outcome. The Twilight Samurai put his entire being into all his activities regardless of what they were. This research and the samurai are teaching us to be fully present in all we do. One way to become more engaged in the task at hand, is to use all your senses as you focus on achieving your goals. Ironically, you may feel better about managing your conflicting goals by focusing on what is right in front of you. The gift of life is the present. What do you hear, feel, smell, and see as you work your way throughout your day? Next time you feel overwhelmed by work, underappreciated, or just plain tuckered out... say yes to what's most important, believe you can achieve, and focus on what is in front of you. At the end of the day, how surprised will you be that you feel good about who you are because, like the Twilight Samurai, you have lived well today? 1Stephen Brown and John Slocum, The Effect of Goal Conflict on Performance, Journal of Leadership and Organizational Studies, (2002) 9 (1), 77– 89. Today we hear so much about managing in a multi-generational, global, and highly mobile work environment that it can feel daunting at times to think of what it will take to achieve excellence in our organizations. There are universal principles of success that have served each generation through the years. I believe that as our environments change, we can still look at these principles and apply them. I remember reading years ago, Leadership Secrets of Attila the Hun – whole ruled in the 4th century, a captivating title but the points in the book did make some sense. In 1989 when Stephen Covey first published his book 7 Habits of Highly Successful People, it got many people throughout the world thinking of these fundamental principles of success. As a business coach through the years, I have developed Presuppositions for Excellence. Similar to foundational principles, they are ways of thinking about something that pre-supposes certain things. Once people begin to operate from these presuppositions, they notice different reactions, responses, and outcomes in their environment. How many of us remember when we were little or just starting out in work, how naïve we might have been? At the same time, we may have created some of the greatest successes we ever had. We did not know what we didn’t know. We presupposed or assumed certain things and threw ourselves whole heartedly into our field of endeavor. A presupportion can do just that. Our behaviors follow our beliefs. If you want to understand someone’s underlying belief system – watch their behavior. We can see and hear people who might have negative opinions about a certain project, department, or team of people. They will absolutely project their beliefs and we will see it through their behavior. Conversely, when we notice someone with a positive attitude they will behave in a way that fosters collaboration, understanding, and partnership around shared purpose or outcome. Through the years, we have had several models and guides to help us understand this. In the following Presuppositions of Excellence, you will see how each one can open a new perspective and new outcomes as a result. The challenge is to believe in them. There is No Such Thing as Failure, Only Feedback. What if you knew you could never fail, what if everything was just about feedback in relationship to what you intended to create? Ben Zander in his book The Art of Possibility, which we have as an assigned reading assignment in our Leadership Source program, teaches that everyone is capable of getting an A+. What if there was no F? What if the F that you may have received in school was only Feedback? In today’s work environment, we challenge people to take risks and yet many times we focus on the negative result and failure of success that stifles our creativity and willingness to step outside of the box. As managers, when we encourage people to take risks, to raise the bar, we must also be willing to confront the results. As mentors and coaches, this is the learning opportunity for people to see and take in the feedback received in a way that they can course correct and execute more effectively the next time. Behind Every Behavior Is Positive Intent. This is an easy one when you think of small children; when it comes to adults it is a bit more challenging. When people recognize behaviors that are not productive or communication that is not respectful, this presupposition can be useful. Have you thought to yourself “What were they thinking?” or "REALLY!!?" When I see someone who in my world view is not acting in a way that might produce a positive outcome, I ask myself this question: “What if I were to presuppose that they had some positive intent?” Maybe it is to be noticed or to let people know that they needed assistance and did not know how to ask for it. This is where a manager can come from a place of appreciative inquiry, not judgment, as a means to open the dialogue with someone whose behavior is not in alignment with desired outcomes. Find a few moments alone to sit and inquire as to the thought process they had gone through before acting or communicating in a certain way. This is where the skills of coaching are very effective by asking people powerful questions designed to create self reflection. Requisite Variety is a presupposition that I use for accessing people’s creativity. How many times have you heard yourself or others say "I had NO CHOICE?" When in reality you just did not see all the choices you may have had. When working to achieve excellence, remember the more flexibility you maintain, the more options you will have. With so many options to choose from, you will achieve a new level of excellence most of the time. I ask my clients to think like they were making selections from a Chinese Menu. Look at all that is available first, then make your choice – versus what you may have automatically chosen. The Map is Not the Territory. This is a powerful presupposition and many times used by the most effective leaders. With constant change upon us, we must continue to challenge our world view. When sitting in a meeting or conducting new training initiatives, how many times have you heard challenges from others on the feasibility of what you are saying? This is your feedback that their map is pretty “fixed” about how they see things. Challenge others to look at what they see as their “reality” and realize it is not the same for everyone. We can embrace the diversity that we have and see things from many different perspectives. Understanding and appreciating different world views is what will create the broadest understanding and opportunity to look at all perspectives. The Meaning Of Your Communication Is The Response That You Get. Whenever I get a response in any situation that does not line up with what I had wanted, I challenge myself to look at my real intention. How many times have you heard yourself say “I didn’t mean that” or think that someone’s response to you is “their problem"? Effective communicators and leaders listen to people’s responses. When they are not aligned with the desired outcomes, they challenge themselves to see a different way to communicate while not giving up on the core message. Understanding left brain-right brain thinking, different levels of emotional intelligence and learning to “Style Flex” to meet the needs of how others think and process information will provide more effective conversations in the future. When we refuse to adjust to another person's style, we short circuit the opportunity to create understanding and to build trust with others. I look forward to sharing in more detail how these presuppositions of excellence can be applied in different situations and with very practical tools at the August 16, 2012, ASTD Chapter Meeting in West Los Angeles, California. Learn more at our August 16 Chapter Meeting. Register here.